The "NCIS" star told People, "I’m proud to be married, and I’m proud of who I’m married to." When a celebrity gets hitched, naysayers get out their stop-watches to count down the days, months or years that the break-up will take place. Cynical, yes; inevitable... not so fast. There are celebrities who have never signed divorce papers. Here are just 50 of them. Which TV Actor Makes $24 Million? The "Two and a Half Men" cast is very well paid. Ashton Kutcher, Jon Cryer and Angus T. Jones all made Forbes' list of TV's highest paid actors. TV Star Salaries 2012: Who Makes What? Scotty McCreery's new album Clear As Day just hit #1 in Billboard, and it features some very personal songs that seem to fit him perfectly. He tells me how he picked this batch. How was the season finale? On the anti-climactic side, actually, and not nearly as good as the penultimate episode, one of the show's best. But it did set up an intriguing beginning to the show's ninth season in the fall. Mad About Mad Men: Will It Equal West Wing's Mark? Mad Men matches these times much better than does West Wing, 2008's Bartlet-like politics of hope notwithstanding. It's just too bad that the mass audience eludes it. Rocky Carroll has done it all. Comedy on the sitcom Roc, drama on Chicago Hope and extensive background in theater. 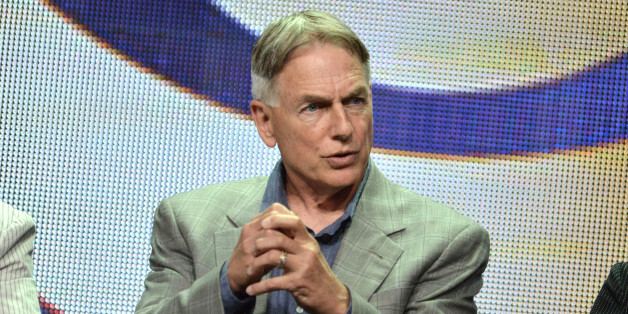 He's currently playing NCIS Director Leon Vance on the CBS series NCIS. I'm not saying Mitch Reinholt will have the career of someone as talented as John Travolta -- nor do I know if he even wants to try -- but who knows?